The pair of soft tissues on either side of the back of the throat are your tonsils. Tonsils help to fight infections and are part of the lymphatic system. When your tonsils are fighting an infection, they will actually slightly enlarge, called hypertrophic tonsils or tonsillitis, resulting in a reduction of your airway size which directly relates to an increased risk of snoring or developing sleep apnea. Continually infected tonsils may cause reoccurring sore throats, misalignment of your teeth called dental malocclusion, bad breath, abscesses, or an upper airway obstruction resulting in snoring or sleep apnea. Enlarged tonsils are usually seen in children and less common in adults. Surgical tonsil removal (tonsillectomy) does not increase your risk of infection, however, it is said to reduce or eliminate snoring or other sleep-disordered breathing. Some claim it’s an excellent, last resort resolution to stop snoring. Every surgery involves risks and having a tonsillectomy does not guarantee that the nasal airway will be improved or widened. There are other treatments out there that can be put to use before having a tonsillectomy done, as this cannot be reversed. Stop-snoring appliances include mandibular advancement devices and tongue stabilizing devices. A few nasal devices include chin straps, nasal cones, and nose vents. These products can usually be purchased over the counter. Positional therapy is achieved by positioning your body on its side in a certain way while sleeping in order to avoid snoring. There are many other options that your ENT doctor or Dentist can suggest to stop snoring. It’s best to schedule a consultation with your doctor so you can get a complete evaluation and learn about all the treatment options out there, what is available, and what is best for you. Is Tonsillectomy a solution to stop snoring? Having a tonsillectomy is not entirely full proof and most doctors will not guarantee a 100% success rate with any surgery including this one. If your tonsils are responsible for your snoring, removal should reduce your snoring, if not completely stop it. 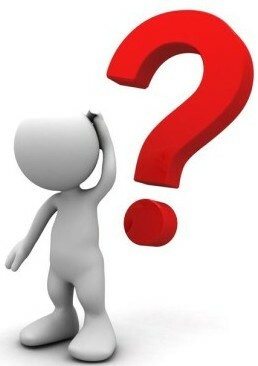 Really the question to you is do you want to undergo surgery in order to stop your snoring? For most people, this is the last resort option after trying the above treatments and not having any luck. It’s always best to consult your doctor in order to make the correct decision for you and your partner. 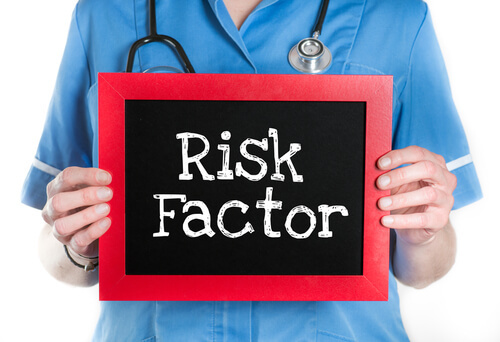 Like all other surgeries, tonsillectomies do involve certain risks. A few uncommon risks include infection, bleeding during and after surgery, anesthetic reactions, swelling, and failure to stop snoring. Infection from a surgery is typically unlikely and rare; however, an infection can start during the actual procedure or afterward during recovery. An unsanitized instrument could cause the infection or an airborne bacteria or virus could be the culprit. If an incision is not properly closed or adequately cleaned during recovery, this could also lead to an infection. In most cases, patients have little to worry about. In the rare case that an infection does occur, antibiotics can treat most infections within a matter of days. The most common side effect of a tonsillectomy is experiencing bleeding after the procedure has taken place. During surgery, if an area is unintentionally punctured, bleeding can occur and then steps will be taken to stop the internal bleeding. If this occurs, a longer hospital stay may be necessary as opposed to just being an outpatient. Bleeding during healing is also a possibility, though rare. If the scab or wound becomes open or infected, this can cause bleeding as well. In either case, the bleeding will be stopped during the procedure or you can consult your physician if it persists at home during recovery and another emergency surgery may take place to stop any serious internal bleeding. Again, serious bleeding is extremely rare. There are several reactions to anesthetics. Some are minor short-term issues while others can be life-threatening. Swelling is also another risk factor when having a tonsillectomy performed. Sometimes the roof of your mouth can swell, as well as your tongue. This may be a bit uncomfortable and cause problems breathing. If this occurs, it would most likely happen right after the procedure within a few hours. Don’t panic if it seems hard to breathe, just remain calm and take normal breaths. The swelling should go away by the end of the day but you should always consult your doctor if the swelling seems abnormal or is seriously impeding your breathing. Tonsillectomies are typically outpatient procedures and do not require an overnight stay. The procedure does require anesthesia. Like most surgeries, you will be advised to not drink any fluids or eat anything 6 hours prior to the procedure. The actual surgery itself involves the surgeon using a scalpel blade or another specialized high-energy heating apparatus to destroy the tonsil tissue and also stop any bleeding that arises. Recovering from a tonsillectomy typically takes anywhere from 10 days to two weeks. During this recovery period, there are several actions you can take in order to expedite the recovery process in a healthy manner and to avoid any complications. As always, it’s important to keep your body hydrated at all times, especially after undergoing surgery. The last thing you want to deal with after a procedure is getting dehydrated and ending returning to the hospital. Grab a few boxes of popsicles before your procedure – this is a fun way to stay hydrated for people of all ages! After you start to feel better, possibly within a day or so, you should start adding in foods with more consistency that are easy to chew. Try to avoid foods that are high in acid, spicy, crunchy or hard to chew. 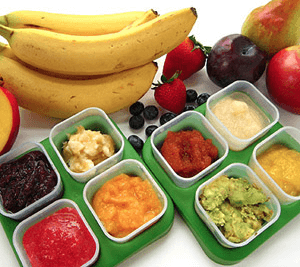 Start eating foods in small bites so you can avoid pain or bleeding when you swallow. Make sure you follow the instructions on any antibiotic or pain medications prescribed by your doctor. 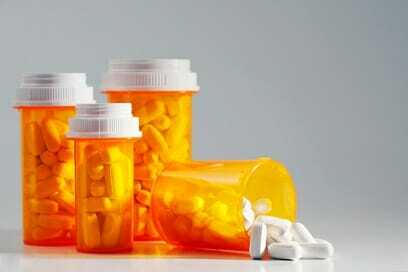 Ask the surgeon or medical staff which medications can be combined with over the counter medicine and what to avoid. Make sure you finish any prescriptions so that infections can be prevented. If you are unsure about taking a medicine or combining it with alcohol or another medication, make sure you consult your physician immediately. It’s important to rest up following any surgery. Your body needs to heal in general so just take it slow for a couple of days. Children should stay home from school and adults should not go to work until you are able to resume a normal diet, sleeping completely through the night and are off any pain medication. Consult your doctor regarding any strenuous or vigorous activities. During your recovery, you should always be aware of any irregular symptoms that occur including but not limited to bleeding, dehydration, trouble breathing, fever, severe swelling, or pain. Because your nose and throat are connected, it’s possible that you may see some dark colored blood coming from your nose. Any bright red blood that is seen coming from your nose is a warning sign and you should go to the emergency room immediately. If you have a fever higher than 101 degrees, notice signs of dehydration or having difficulty breathing, these issues should also be addressed at the emergency room or over the phone with your doctor immediately. Do I need my tonsils? No, you do not need your tonsils to survive. They help fight infection but are not necessary for life. Do tonsils actually cause snoring? Yes, enlarged tonsils can block your airway during sleep, causing the symptom of snoring. Will I stop snoring if I have my tonsils removed? In most cases, yes. However, not all surgeries are full proof and complications may occur. Will a tonsillectomy cure sleep apnea? The surgery is often used to treat sleep apnea and has a 75-100% success rate. Children usually notice improvements within 6 months of surgery. Can I child have a tonsillectomy? Yes, children are actually the most frequented patients for this surgery. Typically, multiple cases of tonsillitis in a year and X-Ray proof that their airway passages in the nose and throat are small, point doctors in the direction of having the surgery performed. Recovery times vary with every surgery, but typically the recovery time ranges from 10 to 14 days under normal circumstances. Will I be sedated during a tonsillectomy? Yes, usually you will undergo general anesthesia while having this procedure done. Like most outpatient surgeries, there is generally some pain involved, but pain meds and anesthesia usually do the trick. Does a tonsillectomy require a long hospital stay? No, typically this procedure is done as an out-patient, however, if any complications occur during the surgery, it’s possible that you may need to be transferred to another hospital location or admitted for several days. This is unlikely, though. Is a tonsillectomy covered by my insurance? Yes, but every policy is different and the reasons for having the procedure done also ranges. It’s best to check with your insurance provider and doctor to ensure it will be covered before scheduling or undergoing the surgery. Do I need to fast before the surgery? Yes, depending on the doctor’s orders, you may be asked to refrain from food and liquids anywhere from 6-12 hours before your surgery. Make sure you consult your physician if you are unsure of the fasting period. Can I eat after the procedure is done? Yes, it’s best to start with soft foods like pudding or yogurt before eating foods that need to be chewed. You may experience some pain swallowing and occasional bleeding so take it easy and slow at mealtime immediately following the procedure. 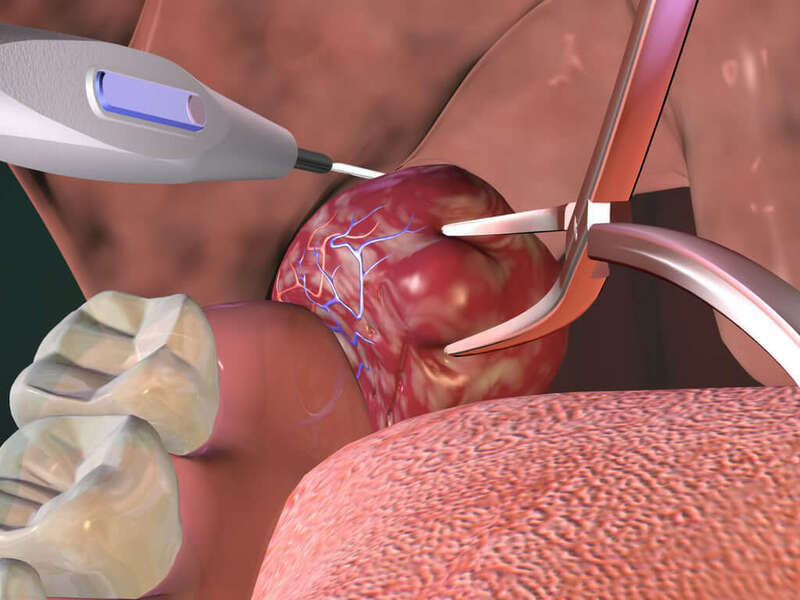 If you are having second thoughts on moving forward with your tonsillectomy, you can check out our recommendations on these mandibular advancement devices. They are inexpensive, non-invasive, and effective. 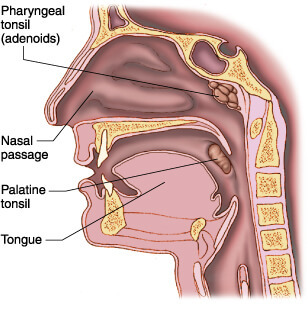 Next post: Adenoidectomy to stop snoring- How adenoids affect snoring and alternative solutions to an Adenoidectomy? Previous post: Walgreens and CVS snoring mouthpiece – Are these available in drug stores?